You can feel comfortable in our vision center with its family atmosphere knowing you are in good hands with Broadway Optix. 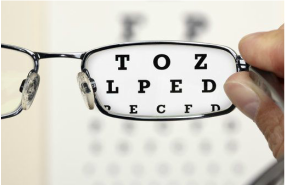 We have over 50 years of combined eye care experience providing professional eye exams to help you see better. An experienced eye care professional will help you choose from a wide variety of top eyeglasses and sunglasses to meet your vision as well as fashion needs.